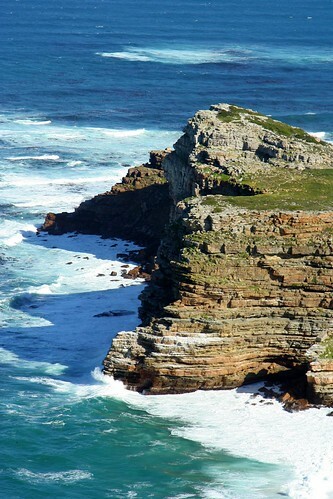 THE SOUTHERN MOST TIP OF AFRICA IN THE CAPE OF GOOD HOPE..STUNNING VIEWS, originally uploaded by electra-cute..Africa bound!. A QUICK NOTE TO LET BERNICE AND FRANCK KNOW WE ARE AT THE AIRPORT AND ON OUR WAY TO SEE YOU~~~ WOO OOOOOO HOOOOOO~ hERE ARE A COUPLE OF ROCKIN SHOTS FROM THE CAPE OF GOOD HOPE YESTERDAY. THE PENGUINS ARE A WILD COLONY IN “NESTING MODE” WE JUST MISSED THE HATCH BY A COUPLE OF WEEKS….